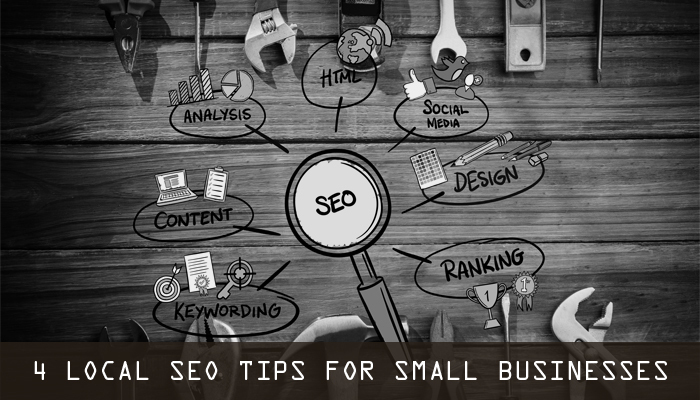 In the fast growing world, there are a few of things for small scale businesses that give a direction to Local SEO strategy. Well, SEO is getting smarter, that doesn’t stagnant the use of Local SEO Services. In fact, there’s a danger in your business that you’ll loose your competitors if you are not publicly attentive. Local SEO is the paramount option for the local consumers who make use of different devices of searching purpose and do not want to miss out any chances. But unfortunately, Local SEO has been a confusing topic ever since the evolution of Google’s Pigeon Algorithm. For understanding the organic search ranking factors to establish a local presence, you should ask: What should be the SEO strategies when it comes to Local SEO? This is a crucial stage. This is the normal practice done by the SEO professionals to use and find the actual terms / words that people normally enter into search engines. This is done to achieve better rankings. Once they find a niche word, the explore deep into it to find similar keywords. This process is done by the keyword suggestion tools like Google Adwords Keywords Planner. Once you’ve finished your research, you would surely want a web page for the group of phrases. Pick one web page that you want to optimize for the each group of phrases and then keep a focus on that particular page. If you don’t have a webpage, then you will have to build a landing page. Once done, link them all to the navigation bar. Use meta descriptions, title tags, H1 tags, URL, etc to optimize the group of words. Properly optimizing the page and keeping the citations consistent is very important in local rankings. The groups which you choose to list your business on the search engines helps to determine which all businesses appear during the time of the search. All though it’s not difficult, but it’s a time-consuming job. Each listing should have NAP (Name, Address, and Phone Number) along with the services you provide. You may also add URL of the website, prices, reviews and ratings, photos, etc. Google keeps in mind the 3 things: time, on which your business was active, links which are back to your site, and the reviews. Here, getting links is important but to have local citations will add a bonus so that Google knows your location. In addition to the citations, you need links without no follow tags. There are citations contain the outbound links which specifically tells Google not to crawl to your website. Thus it becomes necessary to have a good do follow links to your site. Regular posting of the blogs with good, relevant, and readable content to the social media pages, will help you build relationships and expand reach to target audience. Before you whet into marketing efforts, you should be clear as to whom you are marketing. Create and identify your customer and then develop a strategy which is appealing to the persona. It involves narrowing your target audience. This will surely reduce your marketing efforts and competition and will develop a niche to your business. Make sure that the website, landing pages, and all of the offerings are appealing and reflect the position of the business to the ideal customer. A message should be unique and has common style for approaching. The major outcome is to develop quality content on a regular basis so that the flooding of the new customers coming in and the old customers come back increases. Thinking that you’ve build it and the customers would come, is a wrong concept. Promotion is required. Reaching it them through social media, marketing, blogging, hosting, etc will surely help your business expand. Once you implement these practices, make sure you measure your traffic. This will give a benchmark to your success. Use tools like Webmaster and Google Analytics to know your reach and traffic. If you see an increase in your traffic, sales, and ranking then understand that your Local SEO is going well. To increase sales, traffic, and ranking these Local SEO practices will surely make a difference in your business. For more assistance in Local SEO Services, please call us on +44 20 8144 6541 / +1 917 675 3286 or email us at sales@technoinfonet.com .